Available in paperback and e-book from HarperCollins’ Witness imprint. Pastor Luke Bowers is in the good and evil business. So, too – in a different way – is Amy Hunter, lead homicide investigator for the Chesapeake Bay community of Tidewater County. 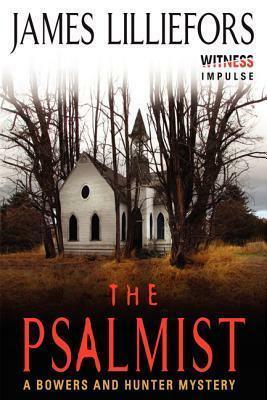 In THE PSALMIST, Bowers and Hunter find themselves working together after a dead woman is discovered in Bowers' church on a winter morning, with a message in her hand referencing the book of Psalms. In THE TEMPEST, the seemingly accidental death of a summer tourist has unexpected repercussions when she's linked to a famous stolen (and still missing) painting – Rembrandt’s 1633 The Storm on the Sea of Galilee, the artist's only seascape. Hunter and Bowers then set out to solve the mystery of a picture within a picture. German, Dutch, French and Swedish translations of THE PSALMIST and THE TEMPEST are also available (see "news"). The audiobook version of THE PSALMIST is now available from Tantor Media. Why would anyone want to steal a masterpiece? The largest property theft in U.S. history was the unsolved Gardner Museum heist of 1990. THE TEMPEST, the second book in the Bowers and Hunter series, imagines what happened to Rembrandt's The Storm on the Sea of Galilee, one of 13 works of art stolen in the robbery.